Few things are more frustrating in sports and fitness than getting injured. 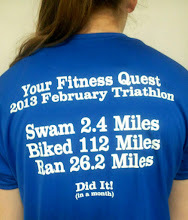 Last week we started our annual "triathlon in a month" event. I have been looking forward to this but was a little concerned since I had a sore knee and a sprained ankle. Despite these nagging minor injuries I started the challenge and things were going good until Friday night when I played in a church basketball game. With 3 seconds left in the game I lunged to save a basketball from going out of bounds and pulled a hamstring. Pain shot through the back of my leg and I collapsed to the ground. After a few minutes I tried to get up but my leg gave out again. I had never experienced this injury before so I was a little scared. Getting injured is especially aggravating when one is working hard at preparing for a goal or event, but their body gives out. 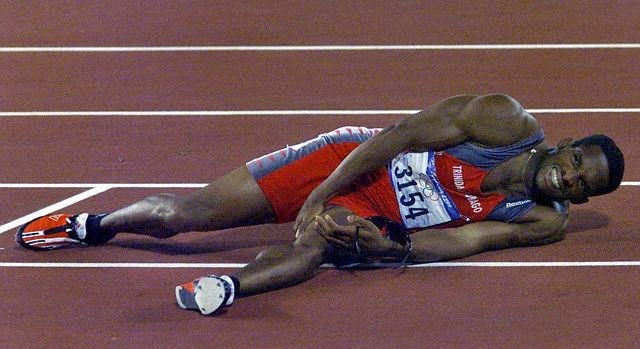 You can see this on the faces of injured athletes when they are rolling around in pain. Only a portion of the anguish in their face is due to physical pain. I'm sure much of it is frustration and anger since they know the injury will take them out of action for a while. Below I have listed some things that will help you recover faster from injuries. 1. Apply first aid immediately- After you are injured.remember the acronym R.I.C.E.. It stands for rest, ice, compression, and elevation. A sprained ankle will heal much faster if you immediately ice it and elevate it, then bandage it with an ace bandage.. Ibuprofen can also help with the pain and reduce inflammation. 2. Seek proper medical attention- I know going to the doctor is no fun but a physician can properly diagnose the severity of an injury. I've known people who have limped around for weeks on stress fractures because they thought it was just a strain or sprain and never got it checked out. 3. REST!- Take it easy until you get better. (I am the ultimate hypocrite when it comes to this. I am currently scheming on how I am gong to be able to play in next week's basketball game). If you don't allow your body time to heal it will likely get worse. 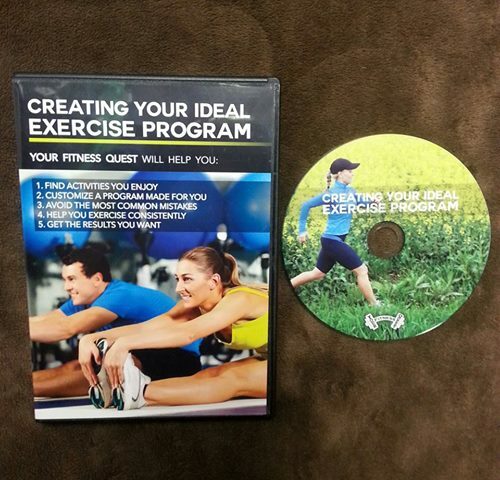 If your are concerned about deconditioning, find an alternate form of exercise you can do. If you are unable to run, look at cycling, walking, or swimming or some other low impact activity you can still do that won't affect your injury. 4. Use a physical therapist- I have had some serious ankle sprains over the years I usually just let them heal on their own, but whenever I have gone to a physical therapist, I have been absolutely amazed at how much quicker recovery time is. I highly recommend using a physical therapist to help speed up the time it takes to recover from injuries. 5. Proper nutrition- Eating right is important since your body is rebuilding and repairing itself with the raw materials you consume. Are you building a house of bricks or a house of straw with your diet? 6. Get sufficient sleep- This is also important so your body can heal. If you are sleep deprived and stressed, your recovery will be take longer. 7. Prevention- Ease back into exercise slowly after an injury. Wear braces or support equipment if you have previously injured a body part. Try not to work out when you are exhausted since that can make you more vulnerable to injury. Being injured is never a fun experience, but there are things you can do minimize the down time and help you with a speedy recovery. I just wish I had the Bacta Tank that Luke Skywalker used to heal quicker in The Empire Strikes Back. My triathlon efforts may have been slightly delayed as I limp and shuffle over the next several days but I am still going to finish the challenge this month!